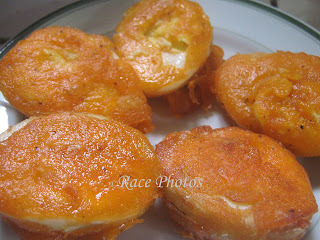 This is the famous kwek-kwek sold in most streets which is either duck or chicken boiled egg fried with breaded sauce. It's very popular here but I don't buy it in streets for personal and sanitary reasons. I don't judge all but some vendors are not so clean in preparing the sauce that's why I decided to cook it on my own for my kids and the whole family as they want to try this very yummy-looking eggs they usually see on streets. I've included stages of preparation here just in case you want to try it. 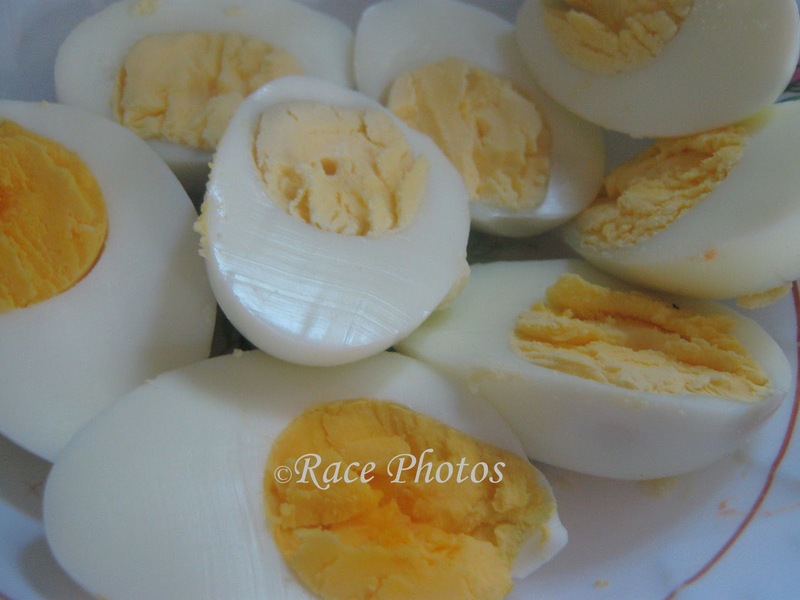 First boil the eggs, remove the shells and cut lengthwise. Prepare the dipping sauce which is basically water, flour, salt, pepper and some other seasoning of your choice, I used Magic sarap here. 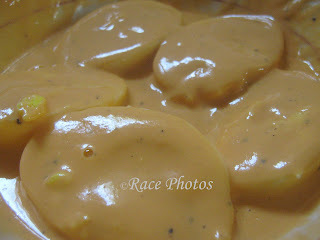 You could also add a pinch of food color to the sauce for a more palatable look. 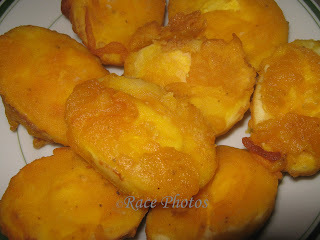 Dip the cut boiled eggs to the mixed sauce, roll in flour and deep fry. Dip the fried egg in your desired sauce - you can use catsup, vinegar sauce with garlic and onions or any other. I always dip it in my special vinegar sauce mix for a more exciting taste. Warning: don't eat more than 2 servings if you're on diet lol! For more yummy foods click the badges above! Happy weekend! Oh hungry me yummy..happy FF! I wouldn't have guessed until you said what it is!